There isn’t just 1 type of home solar energy system in the Villages, FL, and there are constantly new products and variations being added to the market. Traditional and solar tubular skylights are 2 very different lighting options, but they can also offer some of the same advantages. If you want to make the right choice for your home or business, however, it helps to learn a little bit about the advantages and disadvantages that come with each. Keep reading if you’re interested in comparing traditional and solar tubular skylights. While both can be excellent choices for the home or workplace, traditional and solar tubular skylights can benefit you in different ways. Traditional skylights are large, typically rectangular, and they simply allow light to come into your space through your roof. This option can be great for ventilation and even offer a nice view. Solar tubular skylights, on the other hand, can do a better job of harnessing sunlight and spreading it evenly in your space. 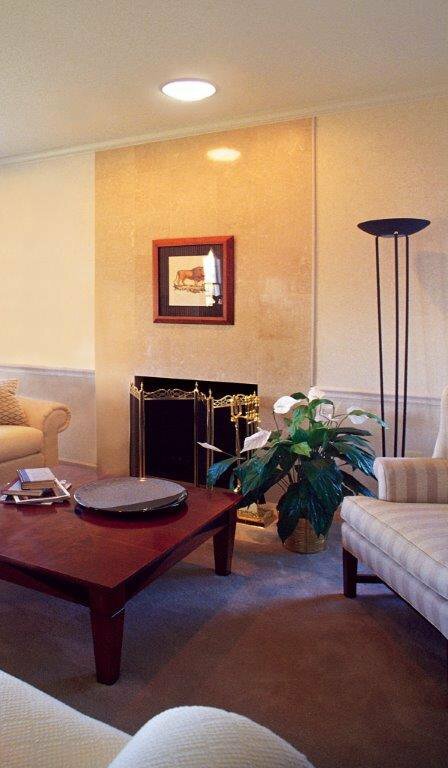 They can also offer natural lighting on lower floors of a building, which traditional skylights cannot. Keep in mind that both of these lighting options can help you save money on your energy bills. You need a hot water heater if you want to enjoy warm showers and wash your dishes with hot water, so why not go for a solar system for your home in the Villages, FL? Homeowners and business owners alike spend a great deal of money on energy bills each month, but Sun Bandit can help you save on your water heating costs . What’s even better is that it can help in a way that protects the environment as well, so you can feel good about your choice. Look ahead and see how you can enjoy clean energy with Sun Bandit. When you choose Sun Bandit, you get to start enjoying clean energy right away. The installation associated with these hot water heaters is relatively simple and straightforward, so you shouldn’t have to wait to start reaping the benefits of clean energy. Natural energy is free and in abundance, and it is clean because all we have to do is harness it. Thus, in addition to cutting down your energy bills and allowing you to enjoy a much more affordable home or workplace, Sun Bandit will reduce the impact you have on the environment. Talk to your solar pro about Sun Bandit. If you are looking to free up some breathing room in your business’s budget, a solar system in Ocala, FL might be the kind of solution to consider. Commercial solar systems can help you cut down your costs without sacrificing the efficiency of your operation, and they come in all shapes and sizes. You can use solar lighting, solar powered hot water heaters, and even solar electricity to save some money and use your funds to advance your business. Read on and see how you can reduce your business’s operational costs by going solar. Natural sunlight and the vitamin D that comes with it can lighten up your mood, but your standard office windows might not let much in. If you are looking for an efficient way to bring more sunlight into the office, solar lights may help. There are different types of solar systems, and there are different ways you can use solar lighting as well. Some choose a traditional skylight that passively lets sunlight come in through a window in the ceiling. Others choose solar tubular lights, which can be more efficient when it comes to balanced dispersion of light. No matter what kind you choose, you can look forward to significant energy savings. Although you might not be showering or washing dishes in the office, having a hot water heater is still crucial. If you want to heat your water in the most efficient and affordable way possible, talk to your solar system professional about solar hot water heaters. Like solar lighting, solar water heaters will work wonders for your energy bills. The energy that powers your hot water heater will be free and clean so you can take care of your finances and the environment at the same time. In addition to giving you the opportunity to power your office with sunlight and enjoy substantial savings, the right solar system can actually make your business more valuable. In some states, you will also receive tax benefits from using solar electricity. Talk to your professional and choose the best solar system for your commercial needs. A home solar system in the Villages, FL will make your home more efficient and save you money on your energy bills. This type of investment can also reduce your carbon footprint and overall environmental impact. You will need a PV system to work with, which will convert sunlight into electricity. There are certain conditions that make for better results and a more effective solar system, so you should know what they are and set yourself up for success. Continue reading to learn more about how solar electric works. 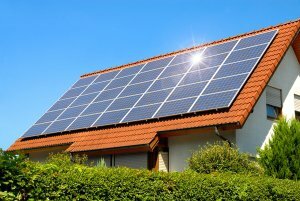 If you don’t know much about home solar systems or solar panels, you might not know what a PV system is. PV stands for photovoltaic, and this kind of system is what will allow you to get electricity out of the sunlight that shines on your building. PV systems are not to be confused with solar thermal systems, which take heat from the sunlight and use it to heat water. Instead, this part of your solar system allows you to convert the sunlight directly into electricity for use in your home or place of business. 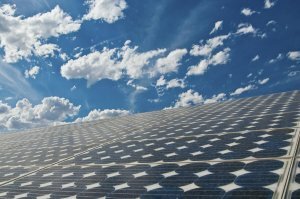 Since PV systems don’t rely on heat from sunlight and don’t use other resources, how can they power your house? The way photovoltaic solar systems work is by the semiconductor materials in the PV modules interacting with sunlight. When this happens, electrons from the sunlight become captured in a current. You can then use the resulting electric current to power appliances and fixtures in your home or office. Where you have your solar panels placed and how you use them will determine how efficient your new solar system will be. The more the PV modules are exposed to sunlight, the more electricity you will get. However, there is another factor to keep in mind: Greater intensity of the sunlight means more electricity for you. As long as the sun is shining on your PV modules, you should be receiving electricity; you can also store the energy in batteries or connect to the utility grid.